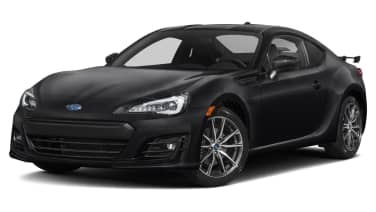 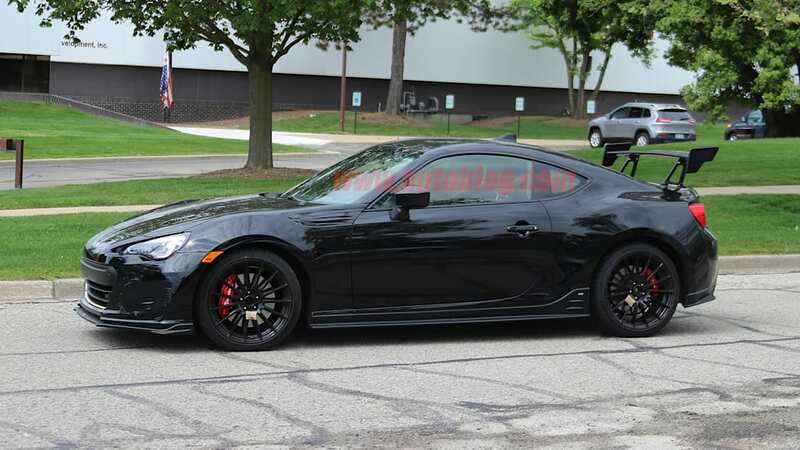 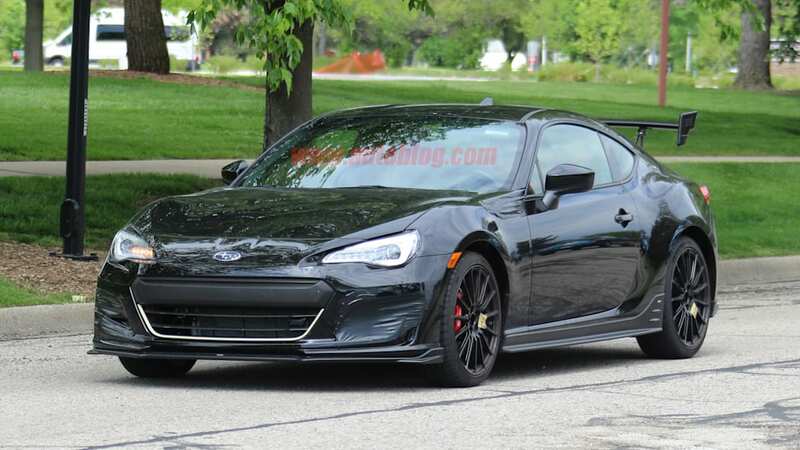 Pretty much since the introduction of the Subaru BRZ and its identical Toyota- (or Scion-) badged twin, enthusiasts have been pining for a more powerful version, preferably with an STI badge and all the performance tweaks that come with it. 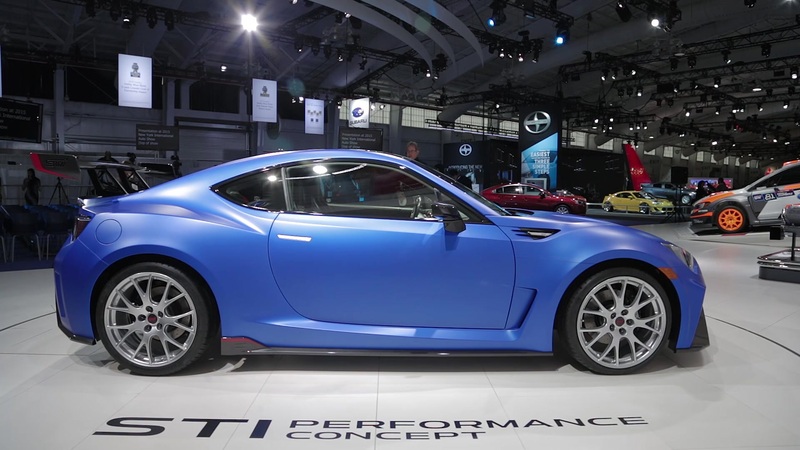 So far though, Subaru has only shown a turbocharged concept that's now a couple of years old, as well as a Japan-only BRZ tS by STI, which only had suspension and handling upgrades. 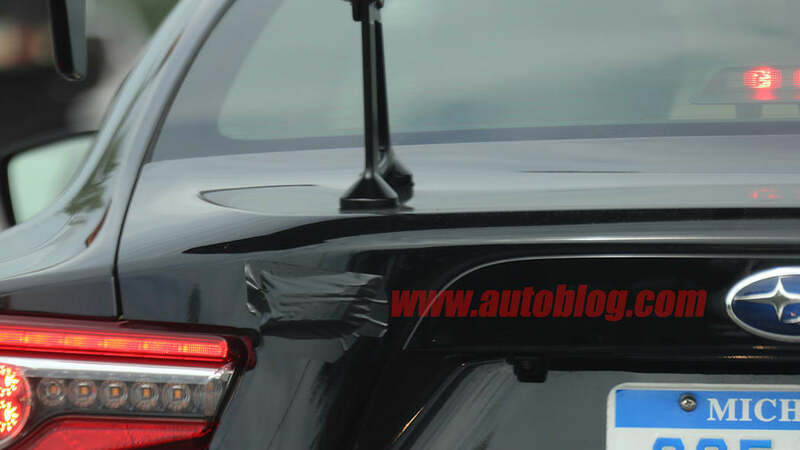 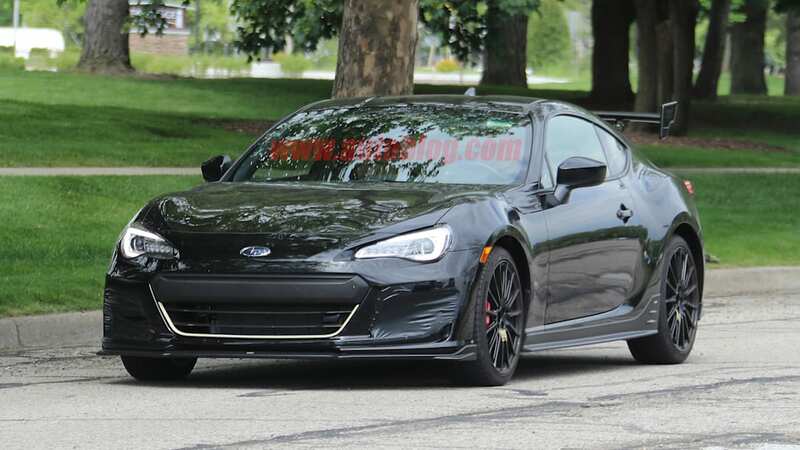 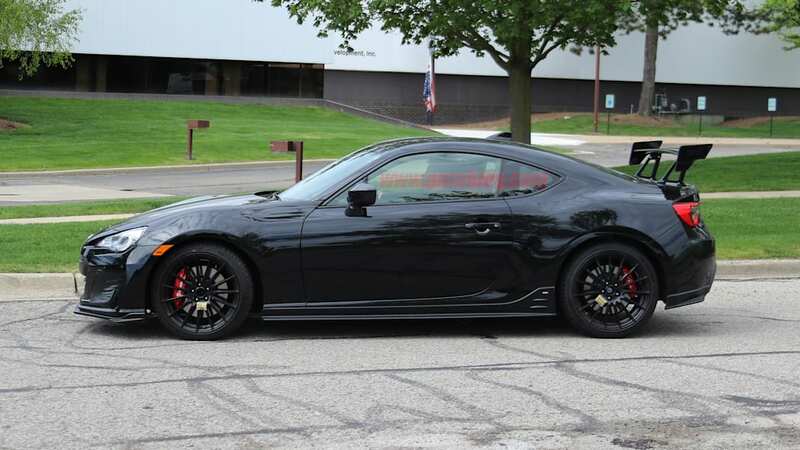 But now, spy photos show Subaru is working on another STI-badged BRZ, and it's testing in the US. 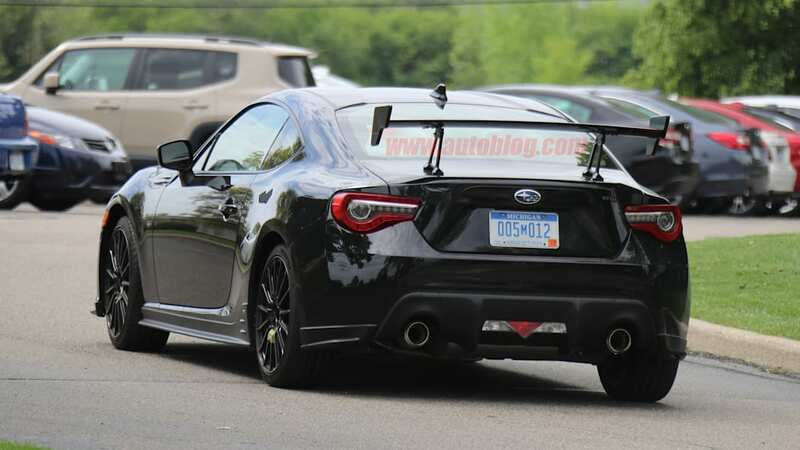 Our spy photographer caught this prototype near Subaru's office in Ann Arbor, Michigan, and it's wearing Michigan manufacturer plates. 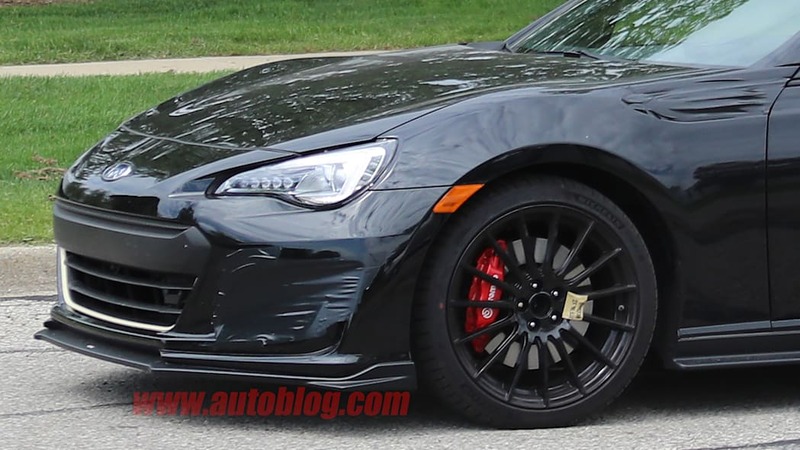 And, although Subaru taped over it, we can still clearly make out the STI badges on front and back. 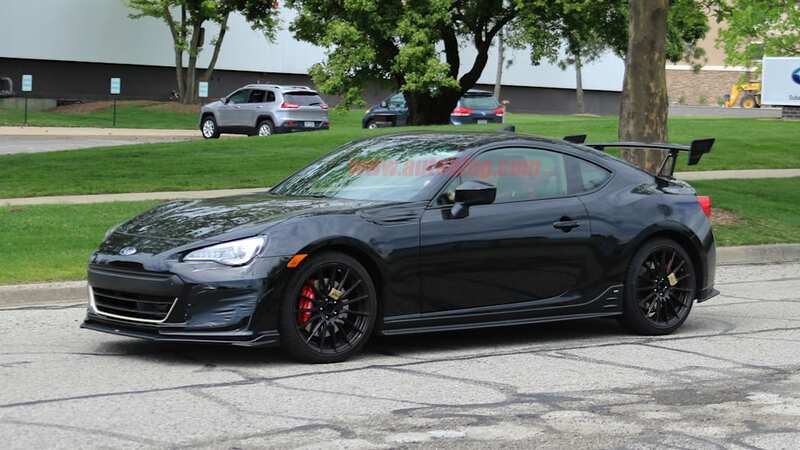 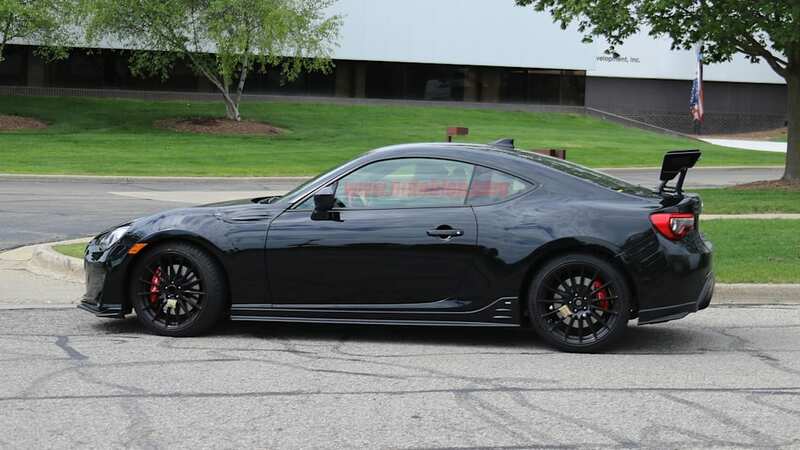 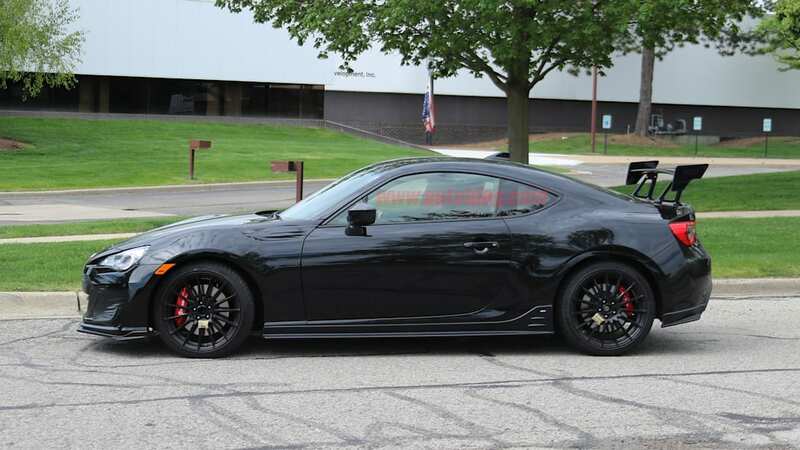 Despite the STI badges, we don't see any evidence that this BRZ has any kind of power adder like a turbocharger or supercharger. 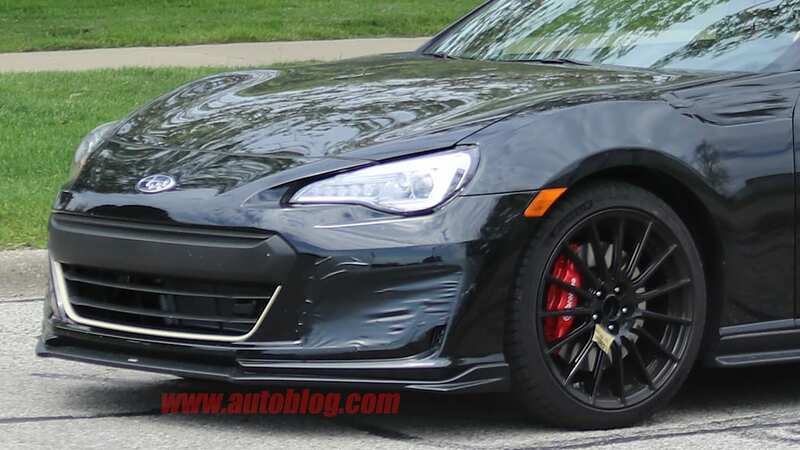 The front vents appear to be the same size as the current model, and there's no hood scoop to feed a possible top-mounted intercooler. 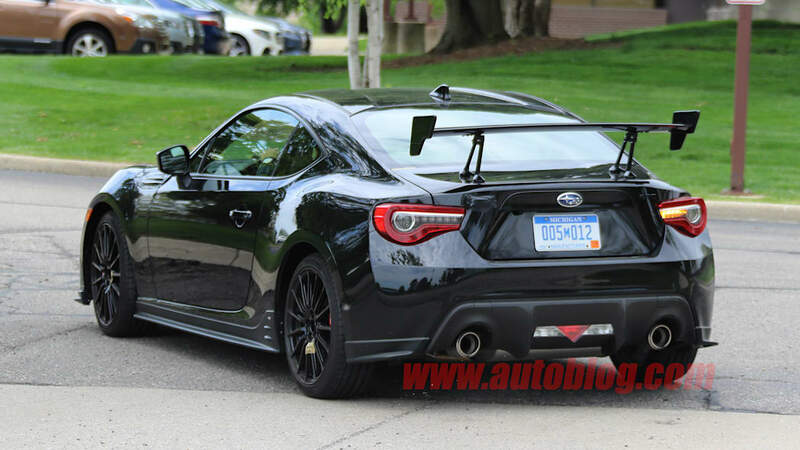 The exhaust also looks roughly the same as the naturally aspirated BRZ. 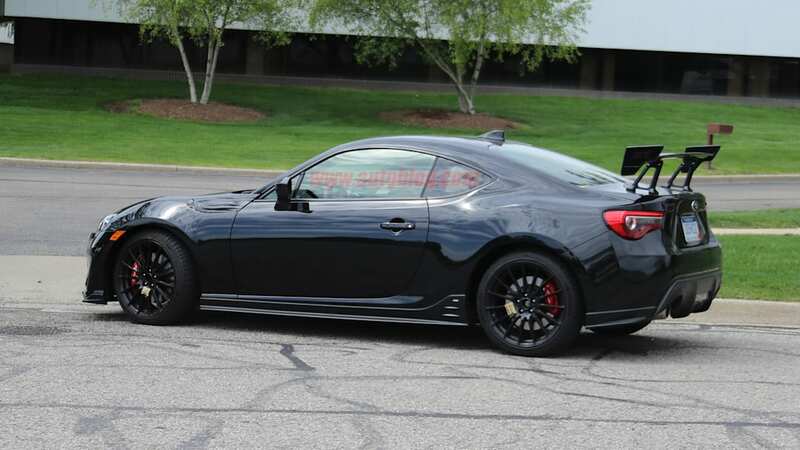 There are some other upgrades, though. 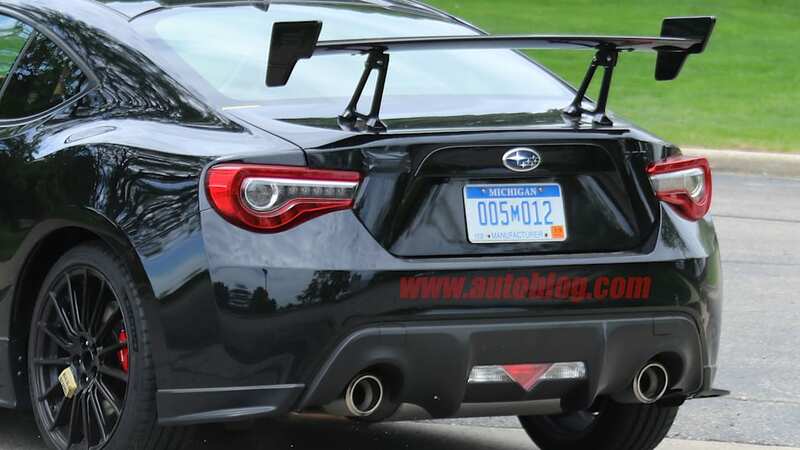 Most noticeable is the huge rear wing, which has similar stanchions to the BRZ tS. 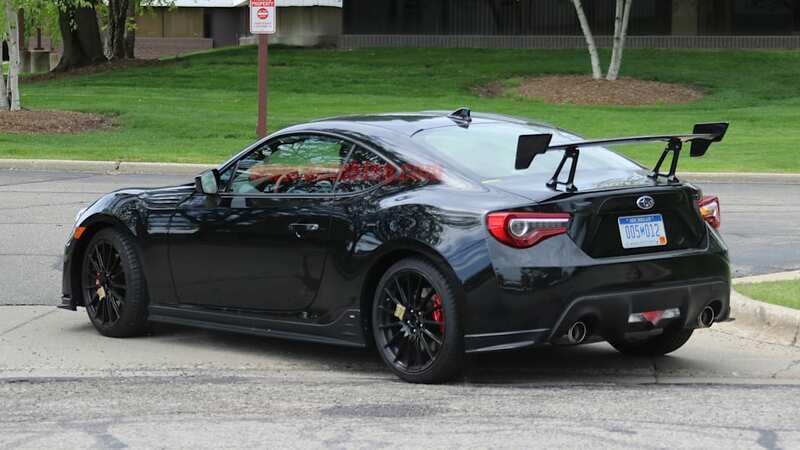 In addition to the wing, the body is accented with the STI lip spoiler, side skirts, and rear bumper extensions available on the current BRZ. 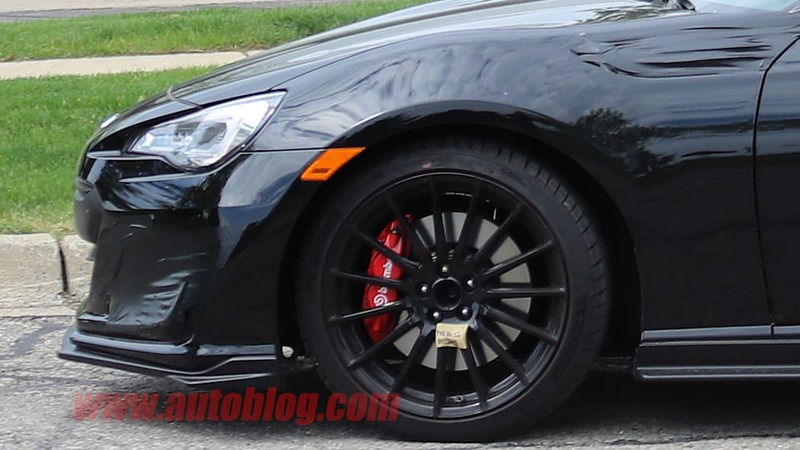 Behind the multi-spoke wheels are Brembo brakes at each corner. 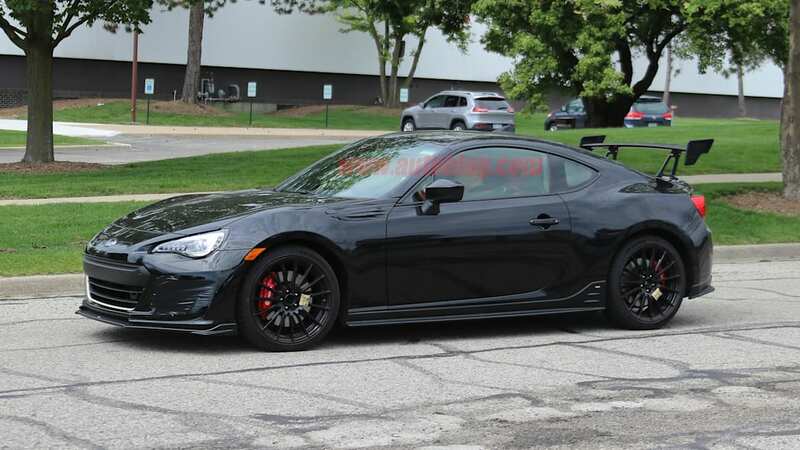 Based on these photos, we'd say this STI-badged BRZ is probably a track package/trim that improves the car's already excellent handling. 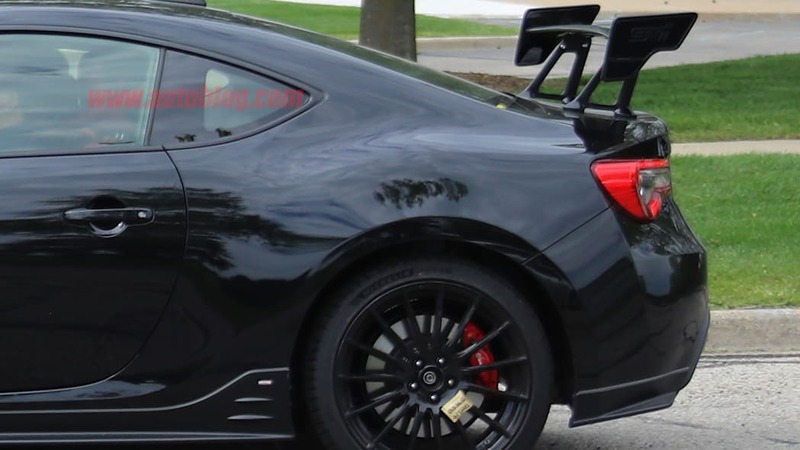 We of course hope that there may be some horsepower upgrades under the hood. 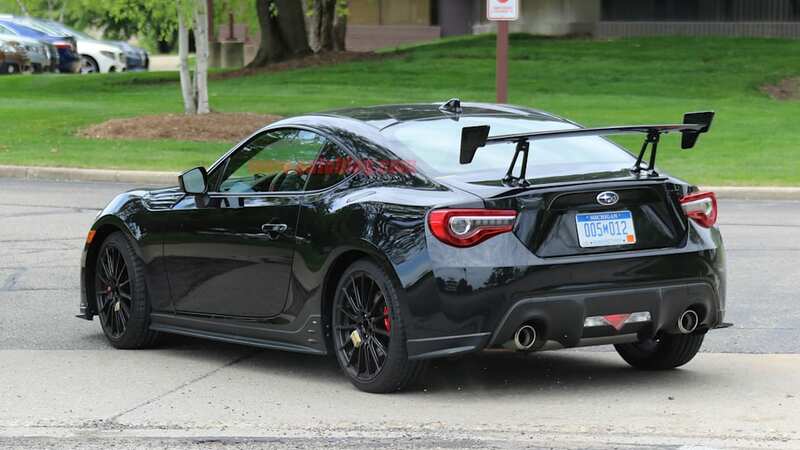 But a lack of visual changes for forced induction, and Subaru's history of reluctance regarding more powerful BRZs, has us erring on the slow side.